The goal of any business, in the simplest terms, is to grow over time. But, as any entrepreneur who’s experienced even the smallest amount of success knows, there’s more to growing a company than simply bringing in more revenue. Yes, increasing your customer base and making more sales is a huge part of experiencing success as a business owner. But if the cost of running your company grows just as exponentially as your revenues, you might be disheartened to discover that the growth you’ve experienced has hardly been worth the effort. What we mean to say here is, the true goal of running a business is to grow over time while expending less time, money, and other resources as time goes on. Not only should you be aiming to do more with less, but you should also be working to ensure the resources and energy you invest into your business are being used to their fullest capacity. As we’ve discussed in a previous article, you can adapt the concepts of lean manufacturing into your own business (no matter what industry you operate in) to ensure maximum productivity across the board. In this article, we’ll discuss some of these lean principles in more concrete terms, with the hope of showing you how these abstract principles can be applied to your own business as you begin to scale. As we’ve said, growing a business requires more than just “doing more business.” To successfully scale your business in a sustainable manner, you’ll want to shift the way your organization operates as a whole. While you may already implement some of these strategies, it’s important that we look at each in terms of how they can be used specifically to grow your business. Small-batch development essentially involves breaking down major tasks or processes into a series of much smaller ones with the goals of ensuring near-perfection and improved productivity in mind. Two carpenters are assigned similar projects in which they’ll each need fifty pieces of lumber, all measuring the same length. Using the large-batch methodology, the first carpenter sets his circular saw in place, cuts all fifty pieces, then measures them to ensure accuracy. Unfortunately, his saw had shifted in the middle of the process, leading the latter half of the batch to be shorter than the rest (meaning they were unusable). Using the small-batch methodology, the second carpenter sets his saw accordingly, cuts the first piece of wood, and checks its length immediately. He then repeats this process for the remaining 49 pieces, ensuring accuracy after each cut. While it might seem like the latter scenario requires more time and energy, this isn’t the case at all. For one thing, the second carpenter has all but ensured that he won’t make any unnecessary mistakes, saving potential resources in the process. Secondly, each “microtask” moves from start to finish almost immediately (as opposed to the first scenario, in which each plank of wood sits idly by until the carpenter reaches the second phase of the project). Additionally, in the instance that a second carpenter is waiting for the pieces to be delivered, he can get started on the next phase of the project immediately (rather than waiting for all the pieces to be delivered in one large batch). Now, the scenario above illustrated a rather simple, linear process. But small-batch development can be used for more complex processes, as well. In fact, the more complex your organization’s processes are, the more you can benefit from small-batch production. The fewer moving parts a given task entails, the easier it will be to successfully complete it. To add to that, your quality assurance teams will be much more able to pinpoint issues when focusing on singular tasks, rather than on the entirety of an overall project. One last thing to mention (which we’ll go deeper into in a bit) is that, in some cases, small-batch development allows you to release minor product improvements to your users immediately (rather than making them wait for “version 2.0” of your overall product). Think of the iPhone, for example: when bugs are discovered within the software, the dev team fixes the issue and immediately releases an update (rather than holding back the fix until the next major software overhaul). Again, we’ll talk more about this in a bit. There’s no denying that technology has made pretty much every aspect of our lives easier, especially in recent years. And this is especially true when it comes to running a business. The Industrial and Digital Revolutions have made it possible to complete tasks and projects in a fraction of the time it used to take our ancestors to do so (and with a fraction of the effort, at that). Not only does automation allow you to complete certain tasks with ease, but it also inherently ensures that tasks are completed with 100% accuracy, as well. As long as your machines are fully functional, you can be confident that the tasks they’re meant to complete will be completed with as little friction as possible. In addition to this, you can be sure that your automation tools will use the fewest amount of resources possible when completing a task - ensuring maximum efficiency in the process. 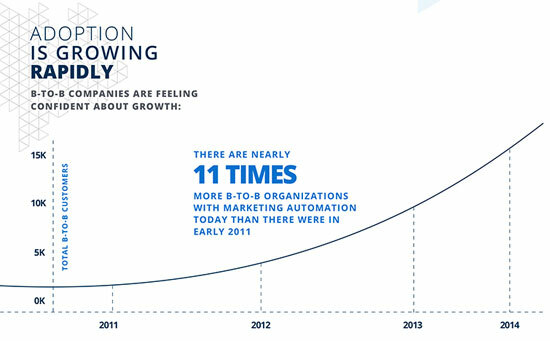 Now, this isn’t to say that automation can completely replace the human aspect of running a business. What technology and automation does do make it so you (or your employees) don’t need to spend time completing menial tasks (such as recordkeeping, logging communications, etc. ), enabling your team to focus on the tasks that require a human touch. With the more “minor” tasks being taken care of by technology, you’ll be able to work on improving major areas of your business - allowing you to ramp up production with relative ease. Your company’s overall potential often lies in your ability to mitigate and solve the numerous problems that will almost certainly arise from time to time. Even the smallest bump in the road could offset years of hard work if you’re not prepared to face it head on. The best course of action is to be as proactive as possible, looking ahead to try and predict where problems might occur - and immediately work toward trying to avoid them. Of course, this isn’t exactly easy to do; the main reason most problems occur in the first place is that the organization had yet to face the issue before (and hence had no possible way of predicting it). That being said, we advise that you train your team to be “reactively proactive” when it comes to troubleshooting problems within your organization. What we mean here is that, when you do encounter an issue, you need to focus not just on solving the issue at hand, but on discovering the root cause of the problem - in turn avoiding similar issues in the future. The best way to do so is to implement the “Five Whys” strategy. When a problem arises, you’ll ask your team to determine why it occurred. Once they discover the answer, you’ll then ask them why that problem occurred. You’ll then repeat this process at least five times in total, narrowing down the root cause of the problem. In the example above, it’s clear that the company needs to work on finding multiple suppliers for the missing component - but this is only apparent after asking a string of “why” questions. Had the team simply identified the problem as “it’s taking too long to deliver the product,” they’d likely venture down a number of solution pathways (e.g., “buy more components in a single order”) before realizing the true cause of the issue. In doing so, they would end up wasting a ton of time and energy that could have been spent looking for a new supplier. With this in mind, it’s important to ensure your team is able to properly work through the Five Why’s in order to figure out the best course of action - and not to simply put a bandaid on the problem. Essentially, Homer Simpson had been put in charge of designing a brand new car for his brother’s company. Homer being Homer, he demanded the car have a bunch of ridiculous features that he thought were useful and/or cool - even though his design team thought he was crazy. Needless to say, when the car was finally revealed, it flopped hard - causing his brother to go bankrupt. Although it wouldn’t have made for much of a storyline, this whole scenario could have been avoided had the team allowed its customers to test out each of the various features before sinking so much time, effort, and cash into the project. In other words, had they implemented a small-batch approach and solicited feedback before moving into the next phase of development, “The Homer” would never have sunk his brother’s company. Of course, it can be incredibly tempting to keep your “next big thing” top secret in order to build anticipation - but this is a huge risk that won’t necessarily pay off. That being said, you certainly can test out new features with select customers (such as beta users or focus groups), while keeping your new iteration under wraps to the general public. You’re likely familiar with the concept of a minimum viable product - a sort of “preview” of what’s to come, created by a startup while its first major product is still in development. As we said earlier, the true measure of success for a company isn’t in the amount of money it has to throw at a given project - it’s in the amount of money it makes from a project that cost as little amount of money as possible. Looking for actionable ways to drive business growth? This free eBook walks through the top strategies and technologies that will increase sales reach, revenues, and profit margins.